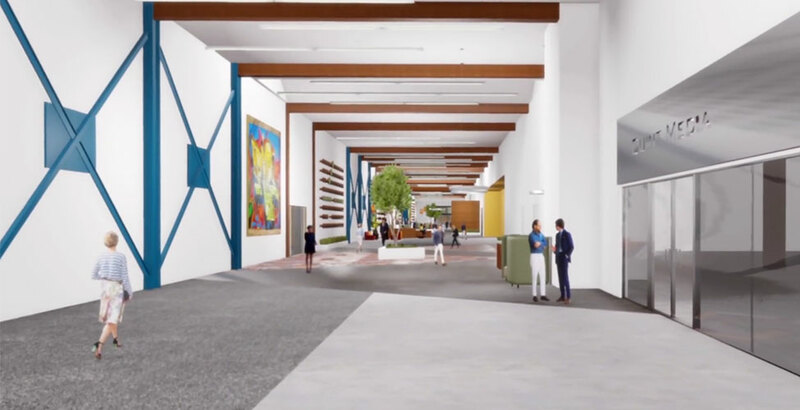 Push open the glass doors and a modern gallery welcomes you - an airy space infused with abundant natural light, operable windows, minimalist design, state-of the-art finishes and breathtakingly high ceilings accented with wood beams and bold artwork throughout. Quick meeting with a client? Comfortable seating areas dotted about the gallery create natural zones of collaboration and exchange. Meanwhile, private suites boast brightly-lit, loft-style open plans with polished concrete floors, creating a high-end yet industrial aesthetic that is both chic accessible. Bold and beautiful, this campus is not only creative, it is an unparalleled work of art. The future is here. The future is The Mix at Harman Campus.